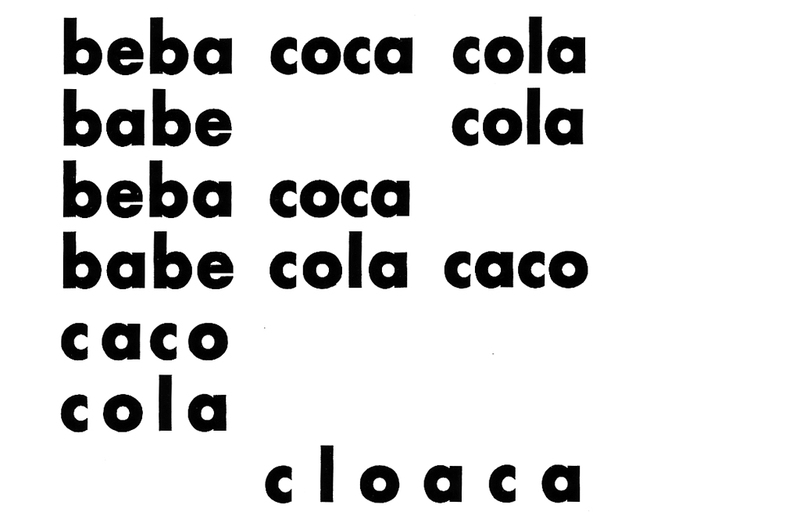 From a greater research I am currently engaged in (about which I will give further detail soon), I am publishing beforehand a little informal anthology of concretist-informed Brazilian music and its respective articulation in graphic design (mostly by means of album covers), from the end of the 1950s to the 1970s. It is a series of chronologically organized posts, each one about a specific moment or artist related to this period which fostered such a rich dialogue among music, poetry and graphic design. In “Plano-piloto para poesia concreta” (Pilot Plan for Concrete Poetry), the Concrete Poetry manifesto published in 1958 and signed by Augusto de Campos, Haroldo de Campos and Décio Pignatari, the poem that communicates its own structure is proposed. In order to achieve that, poetry must take advantage of the possibilities offered by the graphic space, which is now considered a structural agent. However, that did not mean the mere transposition of poetry to the visual scope to the detriment of the verbal and phonic aspects: concretists affirmed their project as being verbivocovisual: “which shares the advantages of non verbal communication, without giving up word’s virtualities”. Electing diverse artists as their forerunners, such as Mayakovski, Mondrian, Ezra Pound, Max Bill, Webern, Stockhausen and, in Brazil, Oswald de Andrade, Souzândrade and João Cabral de Melo Neto, the concrete project encompassed poetry, music, visual arts and design in a syncretic fashion. Its imprint remains on the work of subsequent artists, be it discreetly, be it enthusiastically adopted. In 1959, João Gilberto released his Chega de Saudade LP, which would define bossa nova from that moment on. The next year he issued O amor, o sorriso e a flor. These records contain, respectively, the songs “Desafinado” and “Samba de uma nota só”, both written by Tom Jobim and Newton Mendonça. Iconic bossa nova songs, their lyrics are metalinguistic, playfully commenting on their own musical structure. 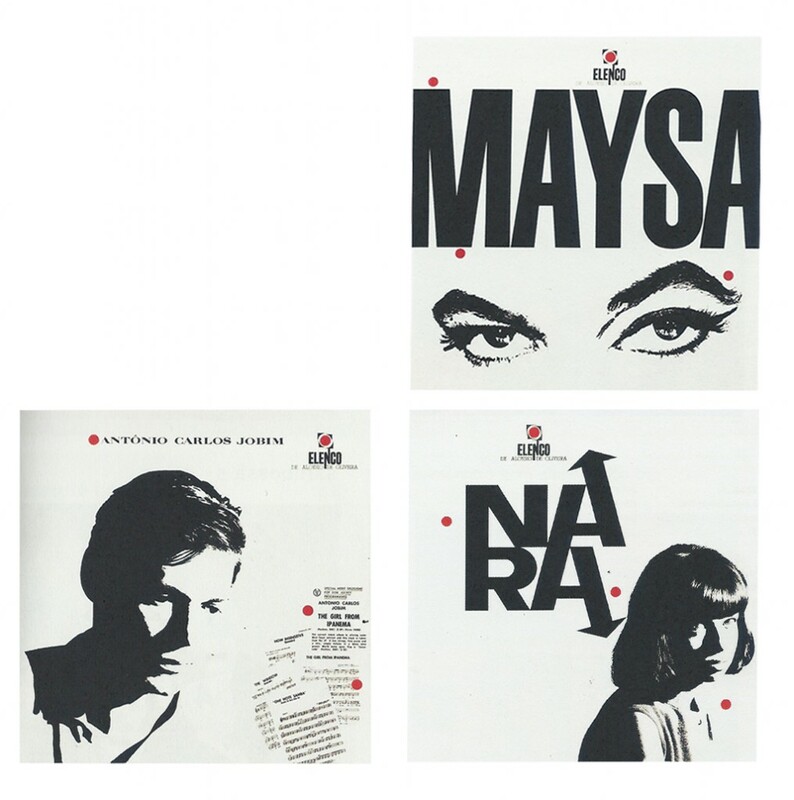 Both albums’ cover arts were designed by Cesar Villela, who was also the chief designer for Elenco, a celebrated label which issued important bossa nova records. Overtly influenced by Mondrian and equally interested in the canons of visual space construction (such as the golden ratio), Cesar Villela, in graphically translating bossa nova’s precision and intimacy, helped to consolidate this movement’s visual identity. Bossa nova’s impact was huge, and its international success signaled the moment of maturity of Brazilian music as an export cultural product – what Oswald de Andrade had envisioned in “Manifesto da poesia Pau-Brasil” (Manifesto of Pau-Brasil Poetry) was then finally materialised. In a short time, as discussed by Augusto de Campos in an article from 1966 (“Boa palavra sobre música popular”), bossa nova would go from “jazz-influenced” to being a major jazz’s influence. In this regard, one highlights the albums Jazz Samba (1962), by Americans Charlie Byrd and Stan Getz and Getz/Gilberto (1964), by Stan Getz and João Gilberto and featuring Tom Jobim. Both records achieved great international commercial success. While bossa nova succeeded in captivating foreign ears, that would not had been possible if it had not right from the onset deeply and enduringly influenced the Brazilian musical production that succeeded it. Its three main ramifications in the 1960s, the protest song, the yeah-yeah-yeah (although here the bossa nova influence was modest) and lastly the Tropicalia, would end up defining to a great extent the paths Brazilian music would take from then on – although dialogue among these three branches had not been free from controversy and friction. All of this will be discussed in the next posts. 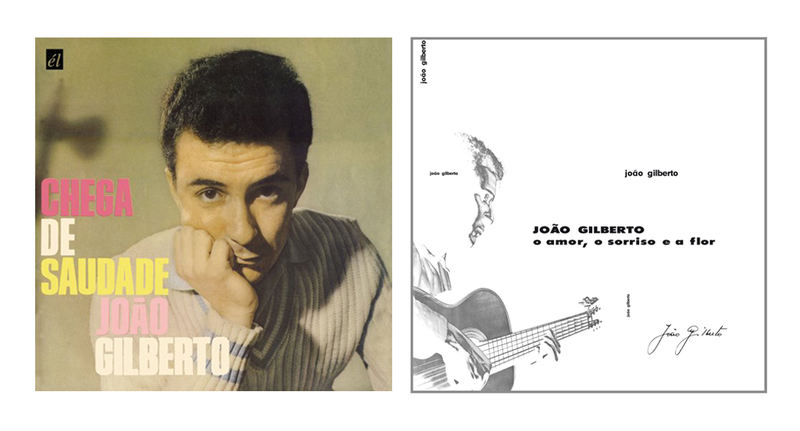 For the time being, let us listen to both João Gilberto’s songs mentioned so far.